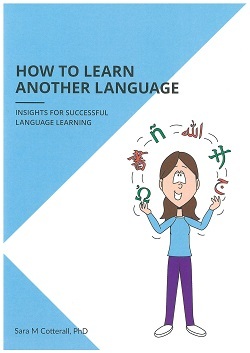 Ideal for anyone about to start or currently learning a new language, this short workshop will introduce you to five key ingredients for successful language learning and boost your confidence as a language learner. Find out how much fun language learning can be. We’ll focus mainly on speaking and listening in another language, although the principles apply to all four skills (speaking, listening, reading and writing). During the workshop, you’ll learn how to interact effectively in another language, deal with input in the target language and discover useful strategies for remembering what you learn. You’ll also learn important strategies for managing your learning, checking your progress and motivating yourself. Suitable for anyone who speaks English fluently and can understand spoken English. Handouts provided but bring pen and paper.